Anyone loves to hike? Here comes a perfect escape. 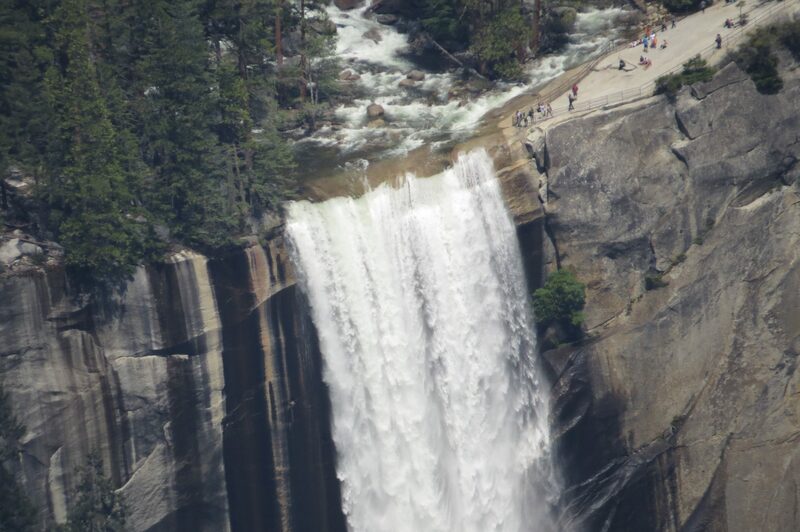 Inhabiting in the hub of California’s Sierra Nevada mountains, Yosemite, is well known for its waterfalls, breathtaking granite cliffs, giant sequoia’s, clear streams and wildlife. Beautifully designed by our mother nature, this place is very well preserved, leaving behind millions of travel lovers spellbound on their every visit. If you have kids, there is no need to pause the idea of visiting, as hiking here is the perfect way to spend quality time with your family by exploring the natural world. After a couple of canceled trips due to overbooked hotels, we finally managed to book and arrived at Okhrust, CA on a drizzly Saturday evening. Since it was already late, we spent the rest of the day lazing around in the hotel. In search of some comfort food after a drive of around 4 hours, we chose to have chinese for dinner at a nearby restaurant. With a nice breakfast at the hotel, we started our Sunday morning at 10 for a 25 minutes drive to the National Park. Fortunately the weather went against the forecast and was quite sunny and bright. Just few miles before our destination, passing Fishing Camp, we saw the Sugar Pine Railroad. Curious to know we did a quick search in google and learnt that they provide steam train rides through the historic and scenic route of sierra mountains. The images reminded me of one of my favorite movie Polar express where a similar looking train takes the children up the mountains, through the tunnels to see Santa Claus. Excited to experience it live, we rushed to buy the tickets. However, we missed the train and decided to take the last one of the day while coming back and headed for Mariposa Grove. 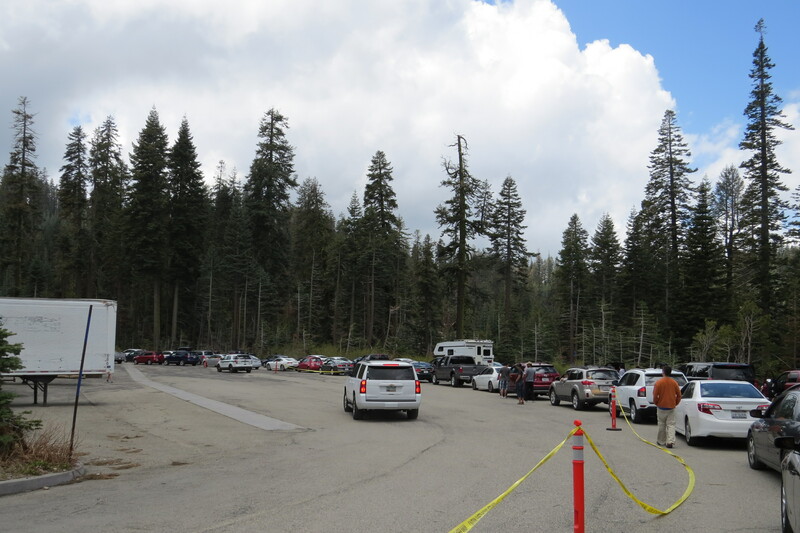 Around 0.4 miles away from the parking, Mariposa Grove provides free parking for all. 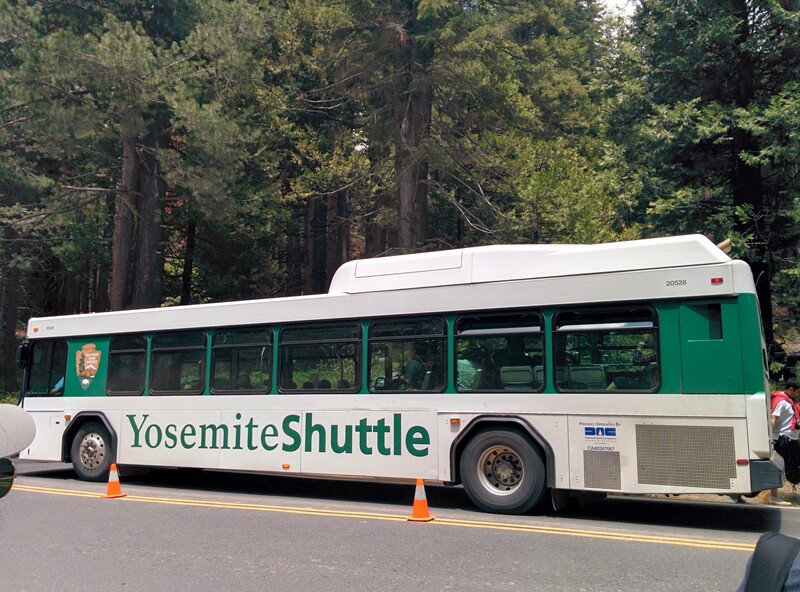 But since it was already full we took the Wawona Yosemite Shuttle from the entrance parking which comes every 20 minutes and was free. 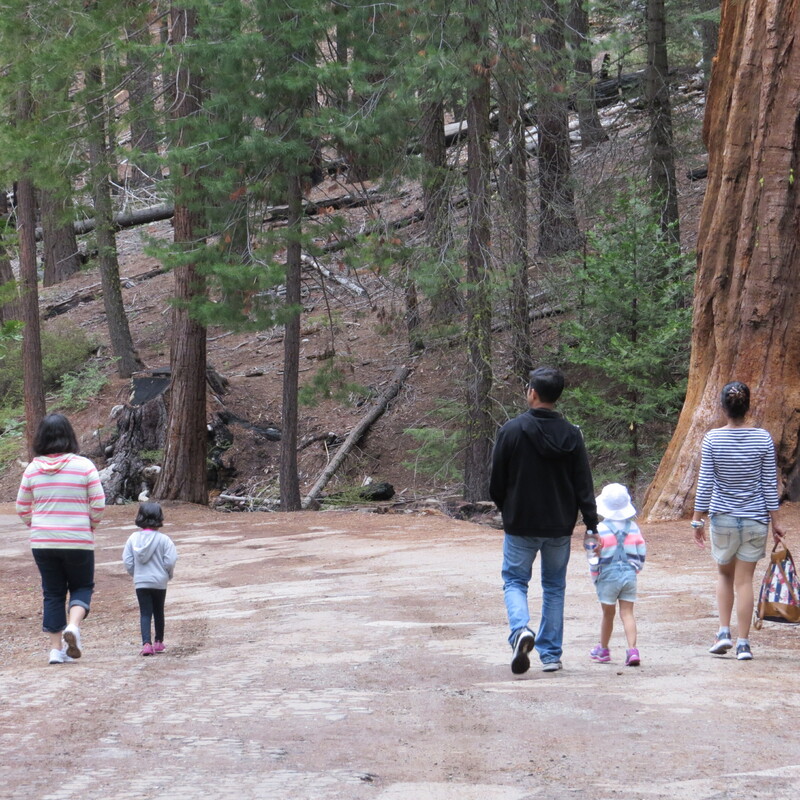 Mariposa Grove is blessed with the giant sequoia’s known to be 3,000 years old and are the largest living things in the world. They are older than the ones in Muir Woods and Redwoods near San Francisco and believed to be their nearest cousins. Quite stubborn and rigid they look determined to stay strong for many more years to come. Trailing through the woods, we took turns to take pictures with a bigger legend, The Fallen Monarch, a tree which fell down three hundred years ago. Massive and dead with its roots reaching up to 15 feet from ground level due to its capsized state, it was used as a shelter for inhabitants way back on 19th century. The kids were busy exploring the place with their walking sticks and were playing with the puddle from the previous day rain. We moved further and saw some wild deers which treated to be an eye candy. 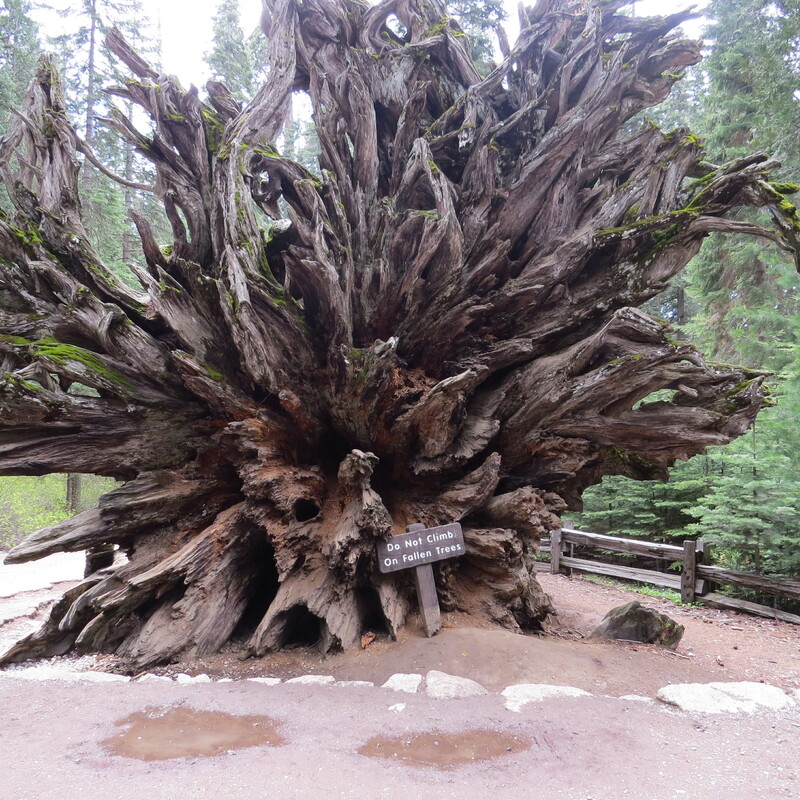 After a distance of 0.4 miles, we saw the largest tree in the area called Grizzly Giant. 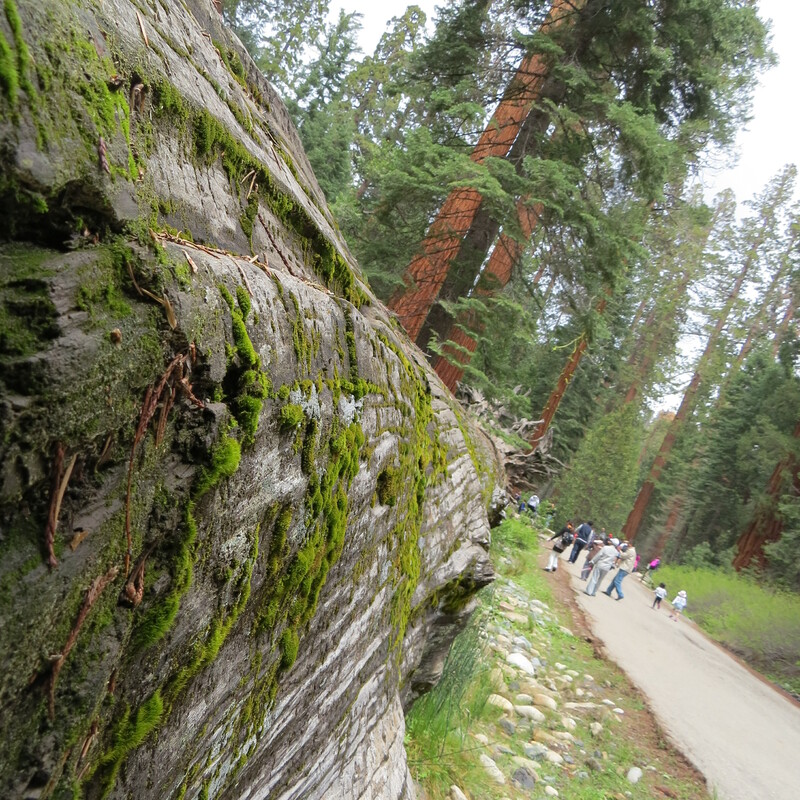 Standing like a king of all the giant sequoia’s, the tree is eldest among all of them. 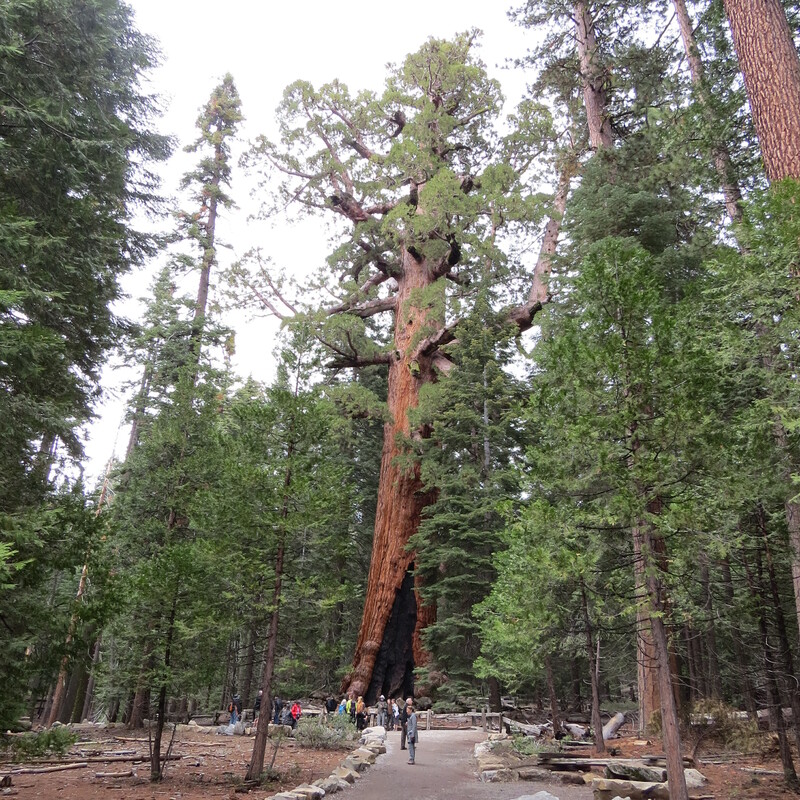 Despite it’s huge size it is 25th on the list of giant sequoias. From there, tired and hungry, we decided to take a turn back for the shuttle. While we were hunting for some place for lunch on our way to Glacier Point, we saw the famous Wawona Hotel. As we were already late, the restaurant was closed. But we could grab some yummy sandwiches and cupcakes from the store. While getting to-go’s we overheard the manager saying that due to the heavy crowd, the glacier point would close in an hour. Heartbroken we checked for the next nearby point in the map provided at the entry. About 2-3 miles from Wawona Hotel there came a Forest Drive. We parked the car and walked through the unpaved road. 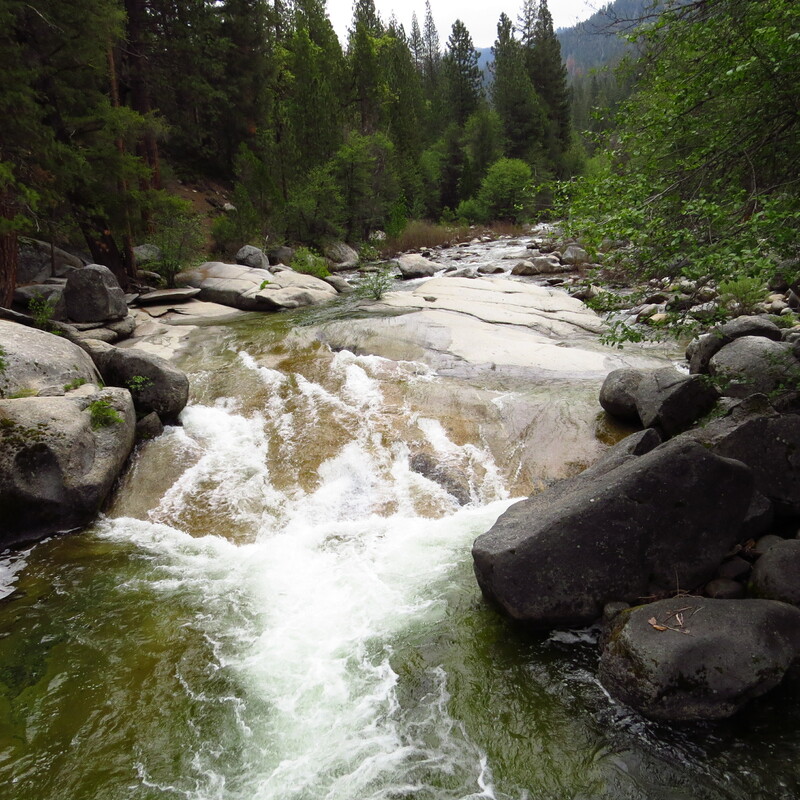 Soon we heard the musical sound of water coming from the stream. 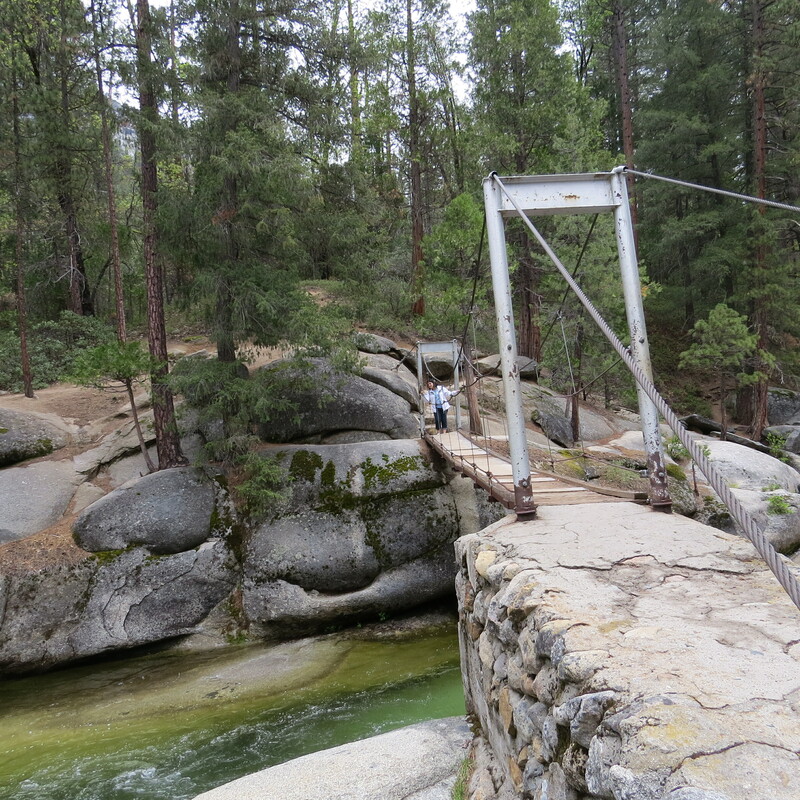 After walking ½ a mile, we reached the spot with clear waters and a swinging bridge to cross the trail. 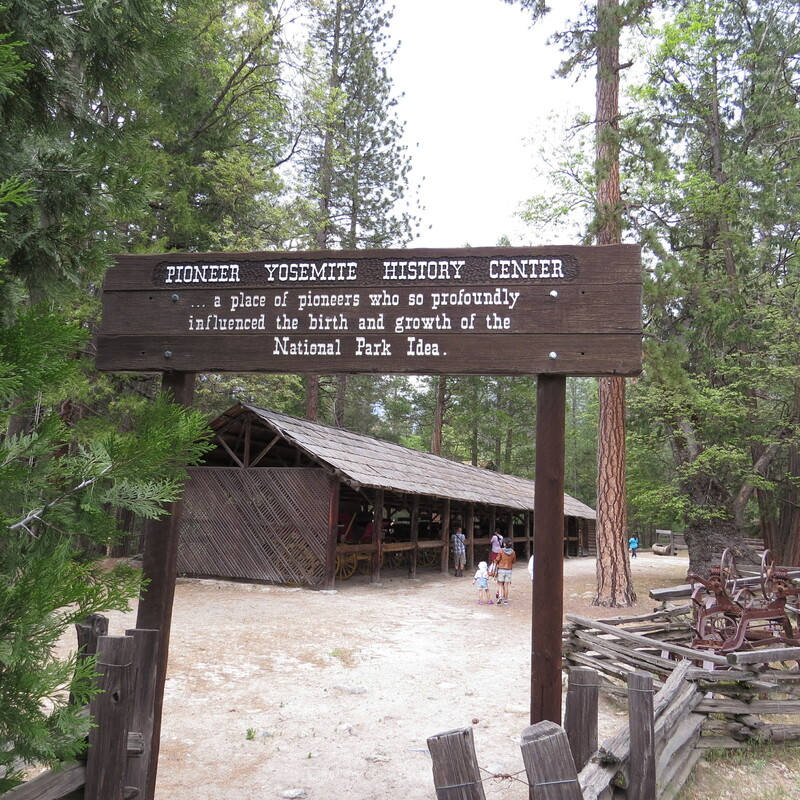 We stayed there for some time and returned to our car to go to the Yosemite History Centre on the way back. Kids had some great fun seeing the horses and running around the place where there were collection of historic buildings. We also did a little shopping of souvenirs at the store and had some coffee. 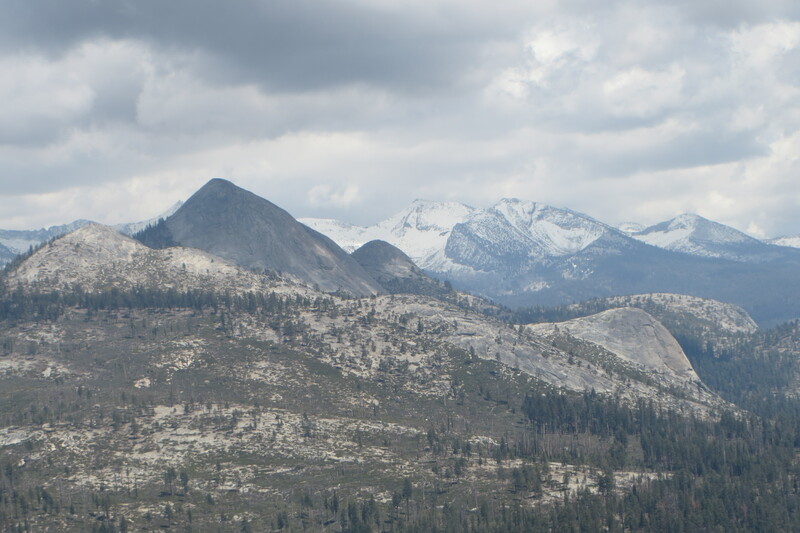 Next day we decided to go the Glacier Point which was around 48 miles from our hotel. But unfortunately even that day the rush had not skimmed. The park rangers said, a minimum waiting time of 90 minutes was involved. Since we had to return back home, we decided to take the exit route. Soon after going for around 2 miles, we changed our minds and returned back and waited. Kids did a great job by being patient. 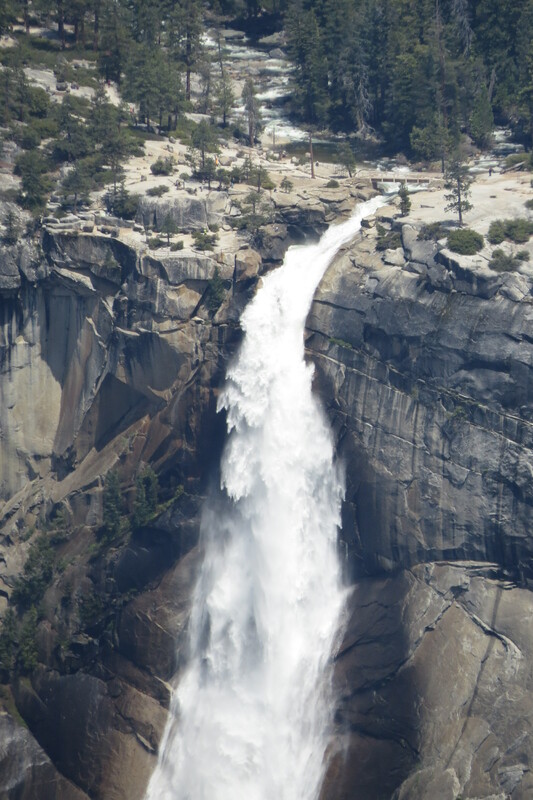 Beautiful glitter’s of snow falling at the granite cliffs, with soothing sound of waterfalls and one iconic rock in between, standing proudly, the place gave us a panaromic view of Yosemite valley, Yosemite Falls and Half Dome. At any cost no great painting can beat this great nature’s work of art. Got some great captures for my collection to save for lifetime. We spent some one hour there and came back to Okhrust and decided to go back on the next day. 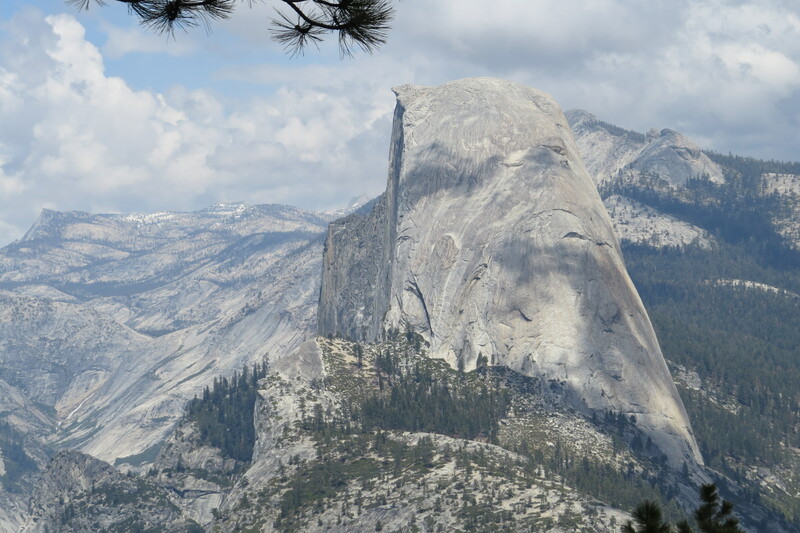 Overall Yosemite experience was quite enjoyable and adventure. The most impressive part was how well it was maintained and preserved which makes it accessible to all age groups. Glad that we managed to see so many places in short period of time. Our stay was also quite pleasant. 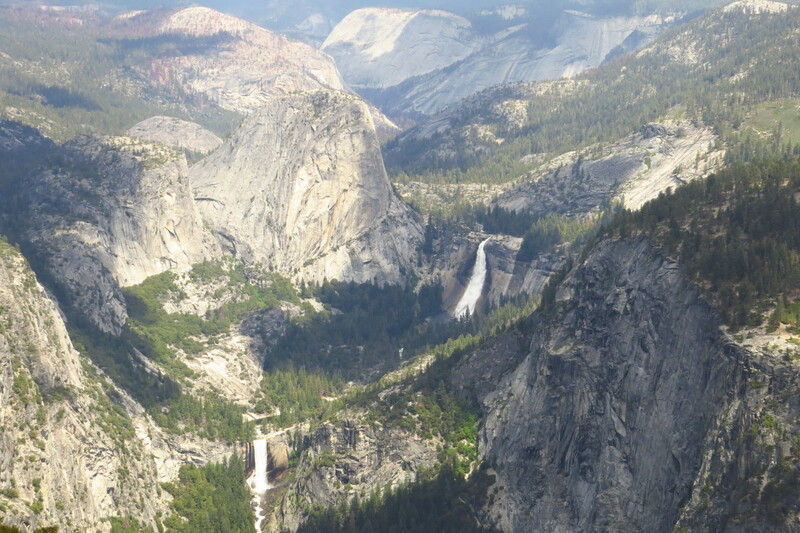 Best time to go to Yosemite is in between June and October. An early booking of minimum 2 months of hotel rooms is must especially on long weekends. Even though the best place to stay is inside the park but there are other nearly places with good hotels. Please carry a GPS along as mobile phone signal might not be available all the time. Dress appropriately. Sun screen, hat, sunglasses, comfortable shirt and pants and covered shoes are recommended for the kids. Carry as much snack items as you can as you might have to skip a meal. Strollers are accessible to these places but you can avoid if your kids love to walk.